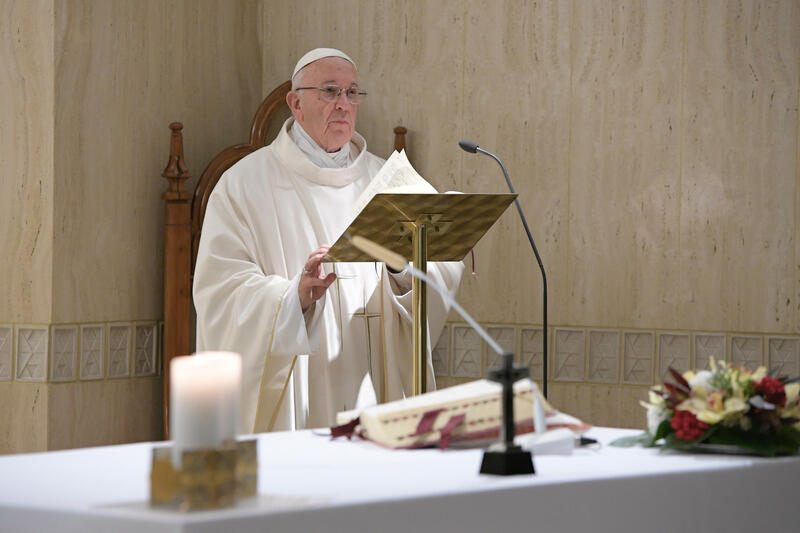 According to Vatican News, Pope Francis stressed this during his daily morning Mass at Casa Santa Marta as he offered Mass in the presence of seven couples celebrating their 50th and 25th wedding anniversaries, and reflected on today’s Gospel reading according to Mark (Mk 10: 1-12), where Jesus affirms the beauty of marriage. “We must not stop . . . at ‘one can,’ or ‘one cannot’ separate a marriage. (. . . ) Sometimes, by misfortune, it doesn’t work and it’s better to separate to avoid a world war, but it’s a misfortune,” stressed the Pontiff. Francis lamented that this is not considered news to the newspapers or to the TV news programs.